Happy 2nd week of Advent everyone! I am feeling particularly joyful this week, and I think it's because Christmas is just a little bit closer. Or maybe it's because I finished my grading for the semester yesterday. Never, in all of my years of academia, both as a student and librarian, have I EVER been happier for a semester to come to a close. Good grief! At any rate, here we are nearing the halfway point of Advent. And I have my handy dandy journal prompt for us to delve into this week. Ready? Get your tea. John encourages us to change our lives to prepare for Jesus's coming. What changes do I need to make this Advent? "Repent, for the kingdom of heaven is at hand!" "Therefore every tree that does not bear good fruit will be cut down and thrown into the fire. I am baptizing you with water, for repentance, but the one who is coming after me is mightier than I. I am not worthy to carry his sandals. He will baptize you with the Holy Spirit and fire." The message from these passages is clear to me: John does not want us to be passive Christians in our relationship with Christ, and in our example to others. We need to LIVE the Christian message. Although John did not shy away from shouting out provocative messages, I do not think he is telling us that we have to be in anyone's face loudly reciting the Gospel message. He wants us to be bold in our proclamation by example. So what does this mean for my life? I am a Nervous Nelly. I should be constantly at peace with my faith and my Lord, and yet am I? I am not. :0 I am always frittering about to and fro, anxious about this thing and that. And why, and for what? This is a useless exercise, and no amount of self-awareness on this issue has ever effected a long term difference. But Advent and Lent always offer us a fresh start in terms of self-examination and spiritual goal setting. This week, I am going to try and take John's advice. I am going to adopt peace as my aspirational Advent goal, living that out within my own little universe, and passing it on to others where I can. That is the change that I need to make this Advent. What is your Advent goal this week? 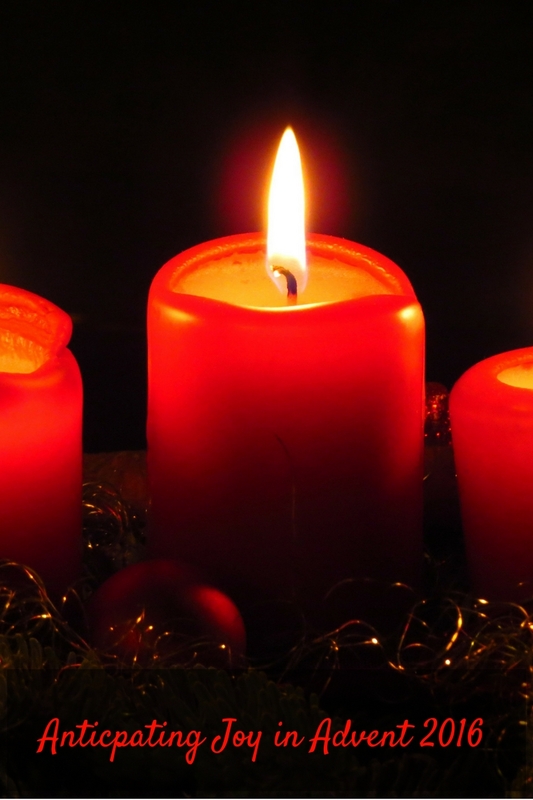 What small thing can you do to change your life this Advent? I would love to hear from you in the comments! My first thought was silence. I rarely take time to sit in silence. I have so many opportunities for to do this in my week right now. Lately, I have been filling any spare time with noise: music, tv, something. Even when I'm doing homework. I want to be intentional about taking time to sit and be still & invite God into those moments. This is beautiful. I love silence, and while I do seek it out when my kids are around me being loud, :0 I rarely do so when I'm actually alone. I should work on this too!